The staff at Meadowcroft really work as a unit, combining their skills, experience and expertise to support both the children and each other. The culture of the school is one of collaboration and inclusion, reflected in the way the staff work very closely together to set goals and develop plans and toolkits for best practice. As a member of Engage Network the senior leadership team share experiences with schools working with similar students across the country. We are working towards a Healthy School status by the UK Government and have committed to achieving The Unicef UK Rights Respecting Schools Award (RRSA) for the way we embed children’s human rights in our ethos and culture. 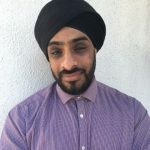 Interim Headteacher Darren Singh, has extensive experience working with children who have severe learning difficulties, mild learning difficulties and profound and multiple learning difficulties. Darren is committed to helping children address the underlying barriers that prevent them from participating fully in education. He provides support and encouragement as he leads by example to the rest of the team. Noreen has helped to develop a diverse and relevant range of course options for our students. She has also worked extensively with local colleges and work placements to provide our children with really exciting opportunities when they leave Meadowcroft. Noreen was instrumental in initiating the school’s spiritual, moral, social and cultural development framework, and continues to nurture our students as they grow with us at Meadowcroft. Dianne has experience of working with young people within both college and prison settings and understands the inherent challenges they face. 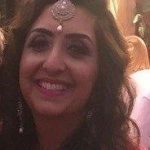 As a trained Thrive practitioner, her hands on experience is also supplemented by a degree in psychology , which she puts to good use as Head of Behavioural and Pastoral Care at Meadowcroft. Like all our teachers, Dianne is determined to do whatever she can to help our young people develop into mature, well-rounded, independent young adults.